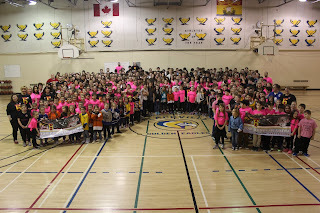 The following reflection and photos will appear in the 2019 Blackville School Yearbook. It was written by Yearbook Co-editor and Grade 12 student Maggie Jardine. Unity. We know what the definition of this word is, but do we know what it really means? We see it in a crowd erupting into chaos as their team wins on an overtime goal. It's in a class dressed in pink t-shirts with #neverdunn proudly written across their chests as they take their yearbook picture. It's how a community rallies together to try to take the title of "Kraft Hockeyville." But unity can also be seen in the strength of a grieving family at the center of a movement. In the past year, our community has known what it means to go through hard times as we have dealt with the loss of many people we still saw as children. Instead of crumbling under the weight of it, we have banded together to show support for those struggling in any way we could. One of those ways was to try to bring "Kraft Hockeyville" to our community and win $250 000 for the Tom Donovan Arena. Fourteen-year-old Thomas Dunn grew up playing hockey on this ice. After his passing, his family believed bringing the spirit of hockey to our rink would be the perfect way to honour his name. Whether we actually bring Hockeyville to our rink or not, in a sense, our community has already won. We have shown what it means to be stronger together and make the best of our hardest times. 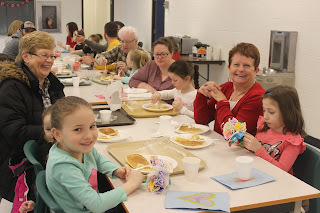 Students from grades K-5 celebrated Valentine's Day with a pancake breakfast. 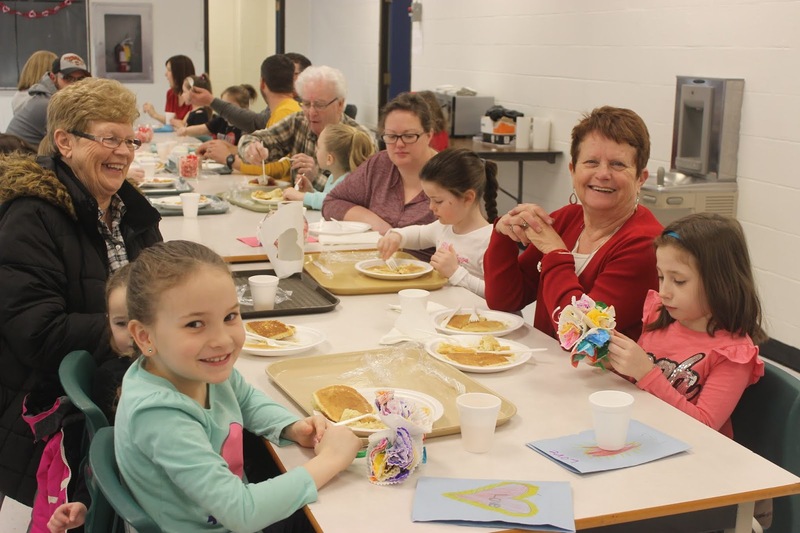 A parent or another family member was invited to join the students for the breakfast that was prepared by the cafeteria staff. More photos from the event can be found here. 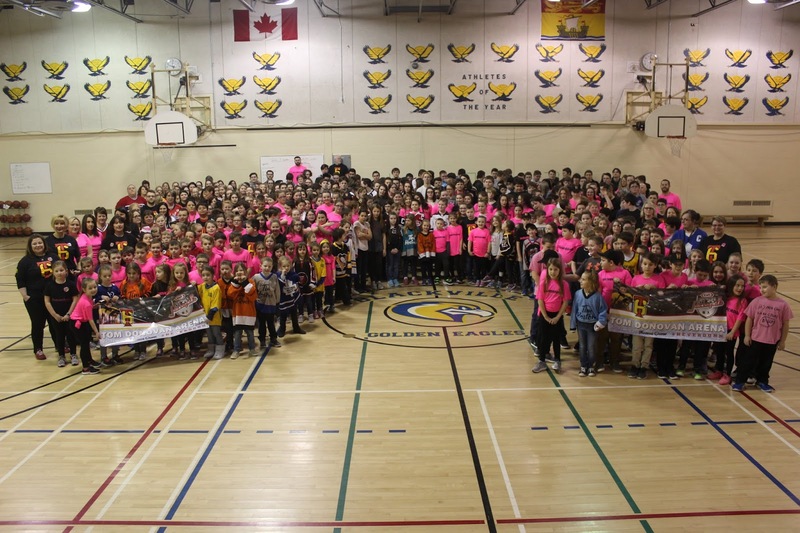 Students and staff at Blackville School sported hockey jerseys on Thursday in support of the Tom Donovan Arena nomination in the Kraft Hockeyville challenge. The arena is one of many in Canada competing in the challenge that awards $250, 000 and an NHL game to the first place winner and $25, 000 to three second place winners. Arena supporters can join and promote their arena at the Kraft Hockeyville website. Sharing community stories about the arena on the website is one of the biggest ways to garner a higher score. This week students were also encouraged to join the website and share their experiences at the arena through their own stories. For more information and to help support the Tom Donovan Arena, click here. Nominations close on February 10. To view more photos, click here. Students at Blackville School had a chance to see some of the artwork that was completed by Grade 9 students during the first semester. 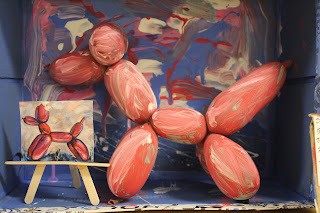 Students in Grade 9 Visual Art students worked on redoing a famous piece of artwork in the form of a diorama before the first semester concluded. Their work is currently on display at the school. To see more photos of their work, click here.